Bone Marrow Transplant Surivor Advocates in D.C.
Garrett McGuire (middle) and advocates on the steps of Capitol Hill. Richmond Hill resident and cancer survivor, Garrett McGuire, took his life-saving story to Capitol Hill this week. On Thursday, July 18, McGuire met with lawmakers to urge continued Congressional support of the program he credits with helping to save his life. McGuire was accompanied by 12 other bone marrow advocates from across the nation – a dedicated group of transplant recipients and bone marrow donors all impacted by the national nonprofit Be The Match®. At just 18-years-old, McGuire was diagnosed with leukemia. When his doctors suggested a bone marrow transplant, he knew that it was his only chance at a cure. Like most blood cancer patients, McGuire did not have a match within his family. His doctors turned to the Be The Match Registry®, and found a matched, unrelated donor within two months. Now, not even three years after his transplant, McGuire is fighting for the organization that gave him a second chance. As a part of the Be The Match Legislative Day efforts, a bone marrow registry drive sponsored by Senators Jack Reed, Richard Burr and Al Franken, was held to encourage the D.C. community to swab their cheeks and join the national registry. Nearly 100 people joined the registry. 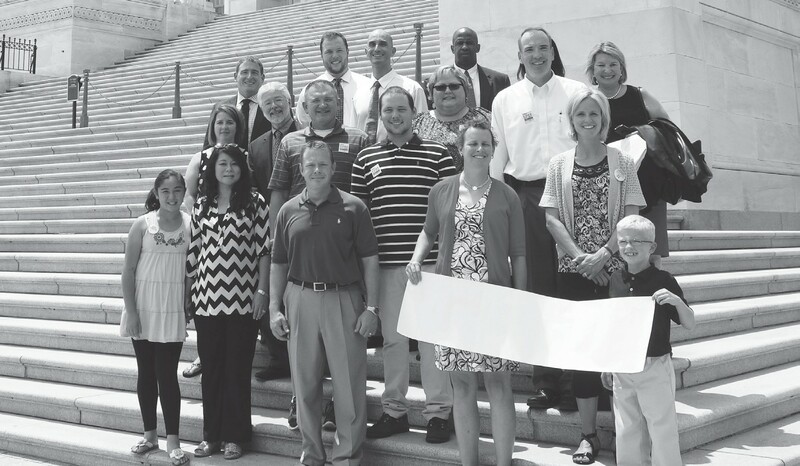 Everyone can help inspire the continued Congressional support for Be The Match. To learn more and get involved, visit www.BeThe- Match.org/Advocacy.